Thanks to this board I've got my oven finished up, and enclosed ( 4x4x8 ). All I need to do is wire the leads going to the elements up. This is where I'm confused/concerned. Here are my questions. Can I use the thermostat out of a normal house oven, and run it into the contactor in the link below and be fine? If not what will I need, and please include part numbers. Thanks in advance to anyone who will shed a little light for me. Last edited by itsallgood; 12-26-2006, 03:10 AM. Is this one the same? 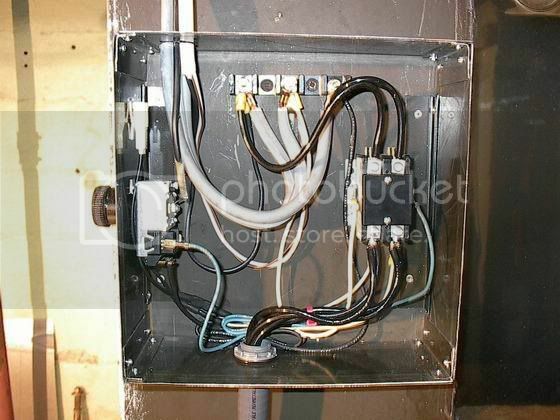 I'm also gathering info to build a 4x4x8 oven, can you explain what the "contactor" and the "120 volt coil " is for? 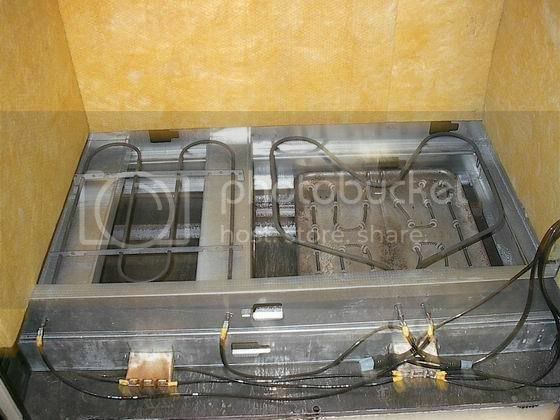 I have 2 complete house ovens and was wondering if it would be easier just to strip them down and just reuse the controls, elements and associated parts as they are currently wired? Meaning I would have to temp controls for the one larger oven. NO the coil voltage is 24 vac not 120 vac you would need a transformer. The contactor is what turns the elements on and off. It's controled by the coil and thermostate. The thermostate is like a light switch in your house it turns the coil on and off witch inturn sents the voltage to the elements. YES, you have everything you need except the contactor and some wire. You guys can PM me and maybe we can get together on the phone it's easier. Ok, I'm starting to get it. So, to add on that; would I need a contactor with as many poles as I have elements, or can I double them up? Poles and elements have nothing to do with each other. Poles have to do with how many hots you have. 220v single phase = 2 poles 120v volts between each side and neutral. On the load side of the contactor you can fit more than one wire in the lugs and there's also male spade connecters. So I guess the answer to your double question is yes. Thank you so much, you communicate what you know very well, it's a relief from your average response. No, thank you very much that was very kind... I thought I just had a lot of bullsh@t. Just glad I can help. Need anything just pm or e-mail. Nope, two poles are all that's required. Each pole attaches to an opposite end connection of the elements. You'll have the same number of wires terminated in each pole as you have elements. Dude, listen to Gary he's the powdercoat oven big dude. If it was'nt for Gary the Binford 5000 may have never been born. 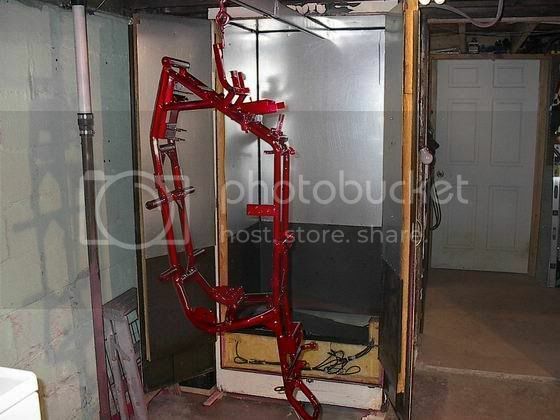 LOL LOL My first search ever on the internet last year I typed in powdercoat oven and there it was.